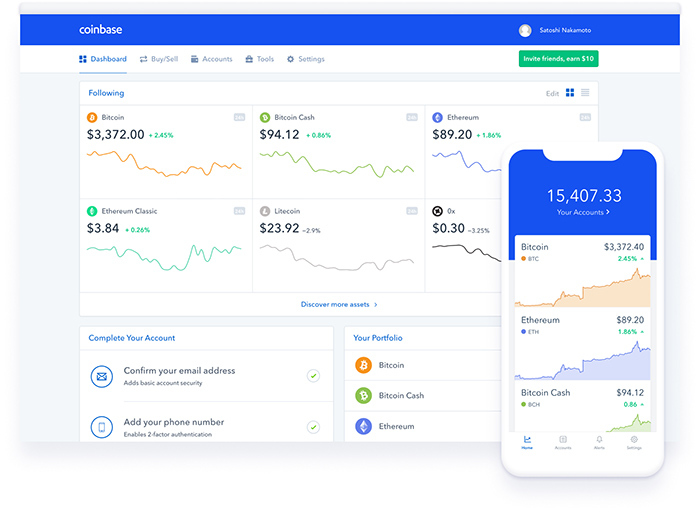 Coinbase is the easiest place to buy, sell, and manage your cryptocurrency portfolio. Buy and sell popular digital currencies, keep track of them in the one place. Invest in cryptocurrency slowly over time by scheduling buys daily, weekly, or monthly. For added security, store your funds in a vault with time delayed withdrawals. Stay on top of the markets with the Coinbase app for Android or iOS. We store the vast majority of the digital assets in secure offline storage. Cryptocurrency stored on our servers is covered by our insurance policy. Coinbase supports a variety of the most popular digital currencies.